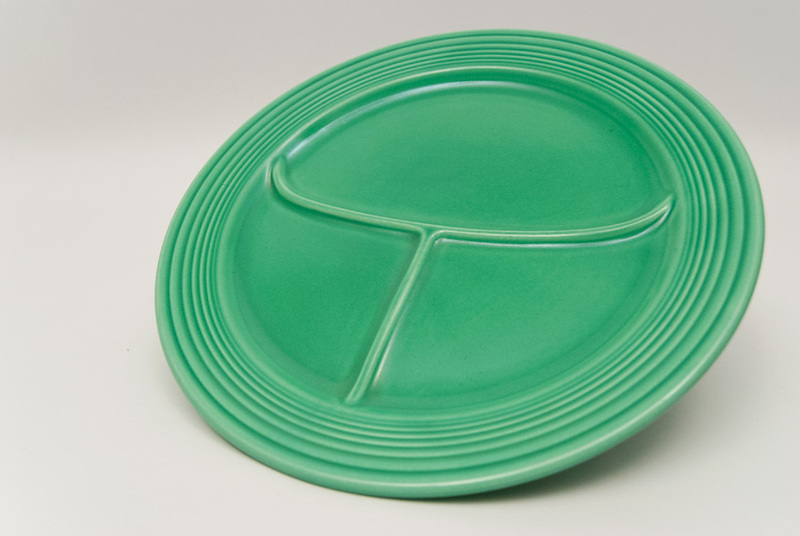 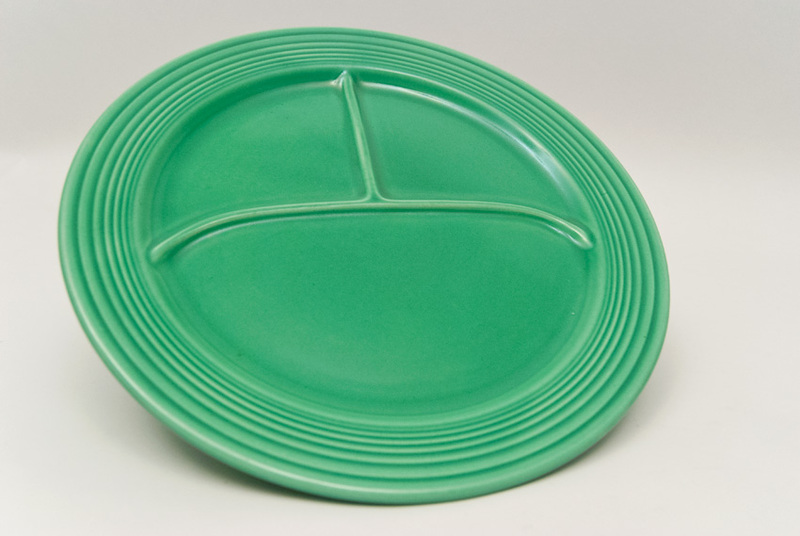 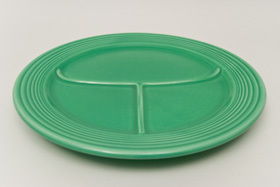 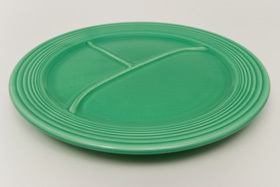 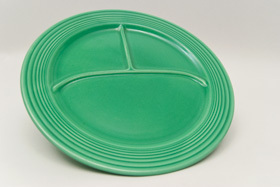 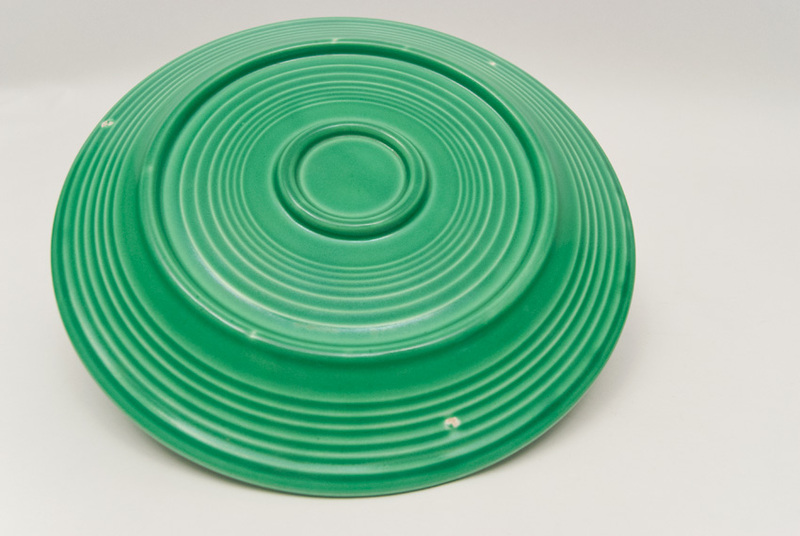 Circa 1936-1937: 2nd Fiesta piece discontinued, after the mixing bowl lids and before the covered onion soup bowls. 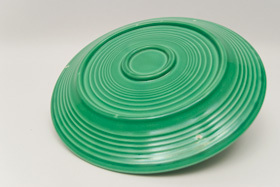 The large and rare 12" divided plate will delight the collector with its abundant display of concentric rings covering its surface. The back is spectacularly designed and this example in original green boasts a great surface without damage, scratching or wear. 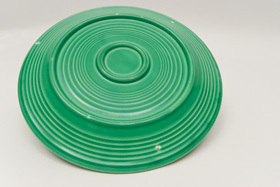 Collectors will appreciate the shine and condition on this rich, early original piece of vintage Fiesta pottery.